Not long ago, milk was milk. It came from cows and made its way into the familiar quart and half-gallon containers that lined supermarket refrigeration sections everywhere. Over time, variants emerged -- skim milk, two percent milk, half and half -- but basically, milk was so generic no one would have thought of trademarking it. That might have been an oversight, because today supermarkets are selling "milk" that is made from soybeans, almonds, coconuts, macadamia nuts, and even peas. It has gotten to the point where dairy farmers are starting to fight back. Milk that comes from plants can't be milk, they say, because milk comes from mammals, not green things. It's not a debate that will be settled by Merriam-Webster, though. Call it what you will, Congress is likely to wind up deciding what is, and isn't, milk. That's because anything related to agriculture eventually finds its way back to Washington, D.C., where you would have a pretty long drive ahead of you if you wanted to find an actual cow. Already 32 members of Congress are after the Food and Drug Administration (FDA) to issue an edict defining milk as a "lacteal secretion," not something that once had leaves. Not surprisingly, those leading the charge are from dairy states -- Rep. Peter Welch (D-Vt.) and Sen. Tammy Baldwin (D-Wis.) Sen. Baldwin's Dairy Pride Act would require the FDA to "issue guidance for nationwide enforcement of mislabeled imitation dairy products within 90 days." 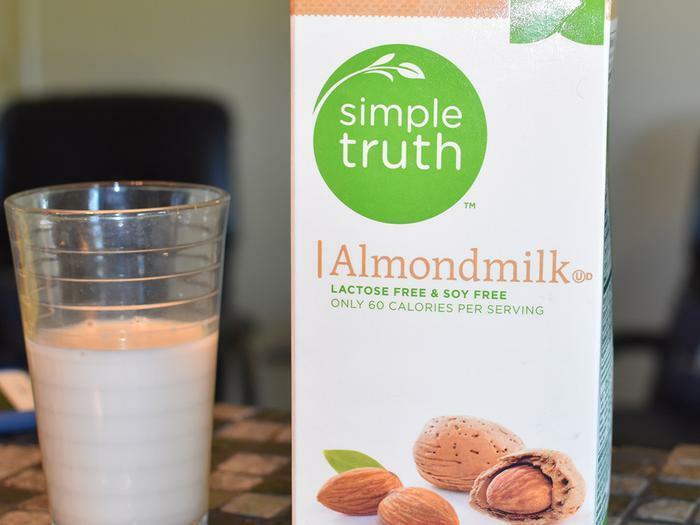 As is the custom when special interests seek to protect their turf, the issue is being framed as an effort to protect vulnerable consumers -- presumably those who do not realize that almond milk is made from almonds rather than from cows' secretions. Ripple Milk (made from peas) Photo (c) Ripple Foods INc. There's no disputing that dairy farmers have good reason for worrying that their cows may soon be out of work. Milk consumption has been falling steadily for years, to the point where we now drink 37 percent less milk than in 1970, according to the Department of Agriculture. Part of the reason is that consumers are looking for healthy food options. There's a general belief that plant-based foods are healthier for humans and better for the environment, a viewpoint that rings true to the Plant Based Foods Association, which has issued a high-protein response to Sen. Baldwin's bill. “Our members are proud to offer a wide array of innovative and sustainable food options that consumers are seeking out for many reasons. We reject these attacks by the dairy industry and look forward to a more constructive conversation that ensures consumers are able to access the delicious plant-based options they desire,” said Michele Simon, the group's executive director. In a letter to the FDA, the plant food group argued that plant-based milks are properly labeled with their “common or usual name” -- i.e., milk -- and said that courts have agreed with this position. It quoted a survey by Nutrition Business Journal that found 34 percent of consumers prefer plant-based milks over their dairy counterparts. While you can argue endlessly about which type of milk-like substance contains more of this or less of that, the plant-based people quote health organizations as saying that plant-based foods are generally a good thing. "A pro-vegetarian diet – one that has a higher proportion of plant-based foods compared to animal-based foods is linked to lower risks of dying from heart disease and stroke," the American Heart Association said recently. "A pro-vegetarian diet doesn’t make absolute recommendations about specific nutrients. It focuses on increasing the proportion of plant based foods relative to animal-based foods, which results in an improved nutritionally balance diet,” said Camille Lassale, Ph.D., lead author and an epidemiologist at Imperial College London’s School of Public Health. 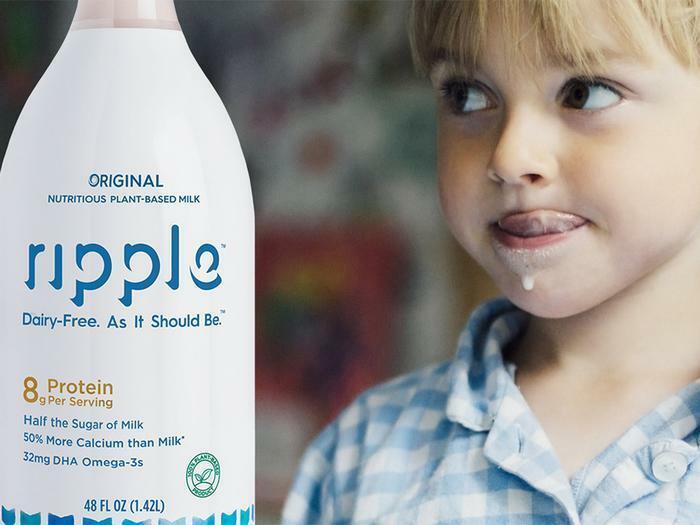 Which brings us back to pea milk, coming soon to a store near you, promises Ripple Foods Inc. While you might not think you could make milk from peas, ask yourself if you would have believed 20 years ago that you could make milk from almonds. It's apparently the case that you can make "milk" from just about any green plant or nut if you want to badly enough. The advantage of peas over almonds, soybeans, and other popular alternatives, we're told, is that it takes less water to grow a pea than an almond, peas are less allergenic than soybeans, there's no sugar, lots of calcium, and so on. Unlike a lot of the marketing wars currently underway, this one doesn't have an obvious "natural" combatant versus a "frankenfood" opponent. Both animal- and plant-based milks are "natural" (though, let's be honest, heavily processed,) so no one's taking any bets on the outcome of this particular food fight.